Gazing at herds of bison with grandpa, building sandcastles with cousins, bonding with family by the campfire, and watching eyes widen with glee at the sight of a favorite theme park character, these are the moments multi-generational travel is built around. 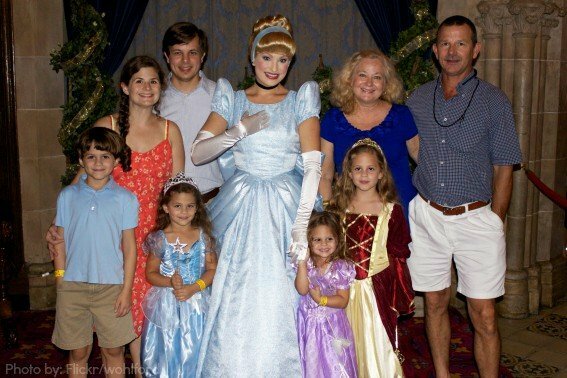 Our family loves multi-generational travel! In fact, we take more trips with extended family and friends than we do as a family of four. When large groups travel together, the logistics get a little harder, but with memories of a lifetime to be made, any coordination and compromise is well worth the trouble. 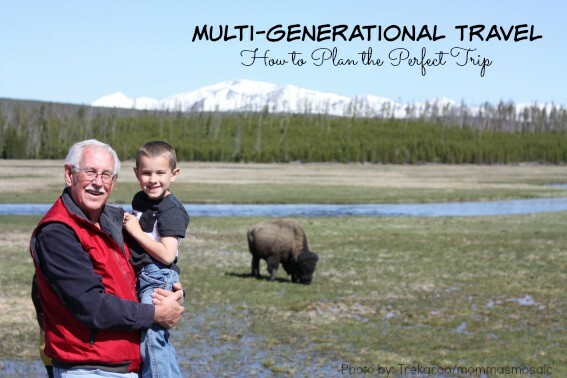 It may sound like herding cats, but with these tips, your are sure to have an almost perfect multi-generational travel experience. 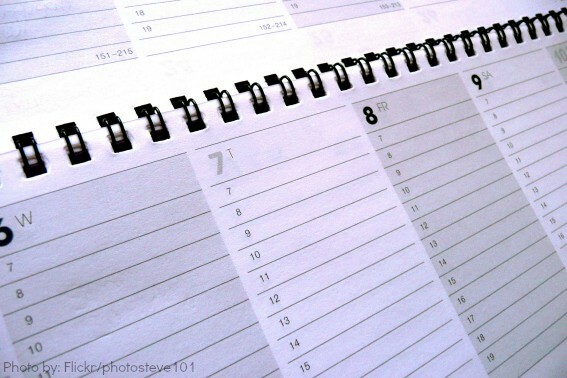 Start communicating about the trip months (if not a year or more) in advance giving everyone a chance to submit time-off requests, block-out dates, and take care of travel arrangements. Planning in advance will also give more lodging options as family-style suites and vacation homes for large groups tend to book quickly. An added benefit of early travel planning is that prices tend to increase as time inches closer to the travel date. Plus, when the departure day comes, everyone will be practically giddy that the much anticipated day has finally arrived! Planning can be fun with our Family Travel Tips board on Pinterest. Deciding on where to go may be the hardest part of the planning experience. There are so many amazing places to visit. Beach? Mountains? Venture out into a new city? A new country? Here are some questions to ask to help figure out the perfect destination. How far is everyone willing to travel? What are the must-haves? Think in terms both of accessibility and activities. How many nights will the trip be? If the majority of people can make it for the weekend, then staying local will allow for more time together and less time traveling, but if a two-week trip is in the cards, a long flight may be worth experiencing an incredible destination. What type of transportation does everyone feel comfortable using? Certain destinations cater to the public’s use of subways or trains, while others rely on rental cars. What’s the budget? While it may be uncomfortable to discuss money, it is easier for expectations to be set ahead of time than dealing with last-minute, unexpected expenses while on an epic vacation. Looking for an incredible multi-generational trip? 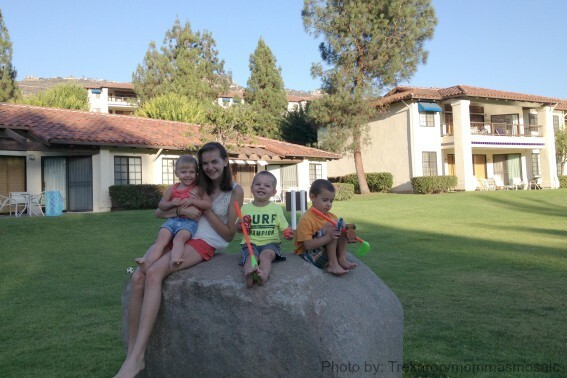 Check out our Guroos experiences in New England, Montana, Lake Tahoe, and San Diego. After figuring out the destination, next plan where to stay. The big question is whether the group prefers to be housed together or separately? Some great options for large group lodging include vacation homes, adjoining hotel rooms or suites, and campgrounds. Vacation homes are ideal for large groups since they usually come with full kitchens, linens, and toys. They allow everyone to be housed in the same place with a shared communal space. Many times the price of a vacation home is comparable to booking individual lodging for each family. Another option is adjoining hotel rooms or suites. While they don’t offer the same personalization as a vacation home, they give every family its own living, sleeping, and bathroom space. They also tend to have onsite options like pools, golf courses, complimentary breakfasts, and kids clubs that are attractive to multi-generational trip goers. For those who love the outdoors, a group camping trip might be just the ticket. With enough space for several families to set-up camp, and a communal campfire, picnic area, and restrooms, group sites offer an up-close experience with nature the group will love. If separate housing sounds ideal, then every sub-group will be responsible for finding its own lodging near the destination. Once you’ve decided where you are headed and where you are staying, you can start working on the details. A major part of a big vacation is figuring out food. Luckily, meal planning can also be done in advance. Some areas to cover include: bringing communal items, where to store those items, handling food prep and clean-up, paying for groceries, expectations regarding dining in or eating out, and of course the determination if all meals will be eaten together or if some will be on one’s own. Need Travel Meal Tips? 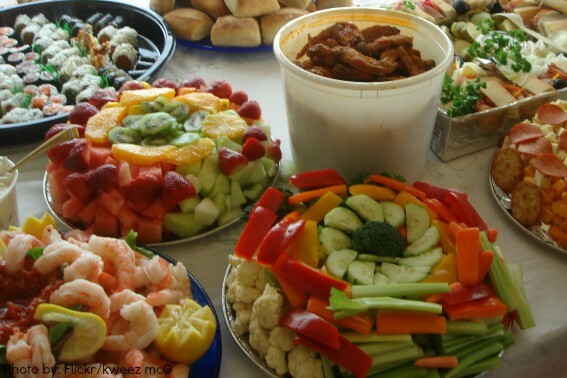 Check out some of our favorite family campfire recipes and tips for cooking in a kitchenette. Generally, multi-generational or large group trips work out best when everyone is responsible to bring their own necessities. Families will want to discuss bringing extras, toys and games for example, to be used communally. And while everyone certainly needs their own shoes, there’s no need for fifteen bottles of sunscreen. Make sure to take space into account. If you have a 2000 sq. ft. vacation home for 8 people then sure, bring the kayak. If everyone has their own hotel room with no communal space, think about what can fit in (and possibly stay in) the trunk of the car. Above all, make sure someone brings both a camera and video camera to cement those memories! 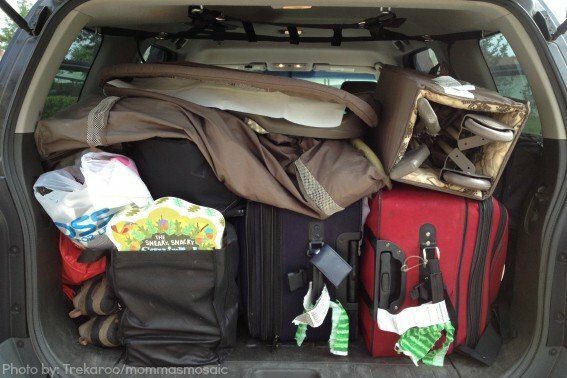 Check out our video on packing for a road trip. I can’t wait for my own to happen, supposed to be this coming Spring, and it’s been about 20 years or more since some of us have seen each other. These kinds of things need to happen more often. People could do with a lot more getting closer than further apart the way technology has gone. Love seeing stuff like this posted. But this article sums up how to do that…..